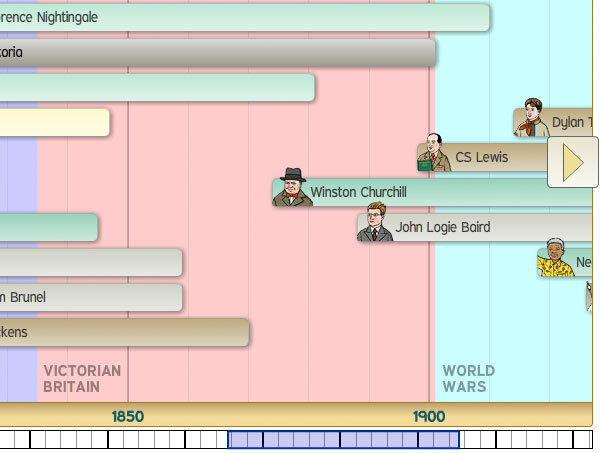 Continuing from the original Primary History Timeline, we designed and produced a brand new interactive timeline for the “Famous People” section of BBC Schools. 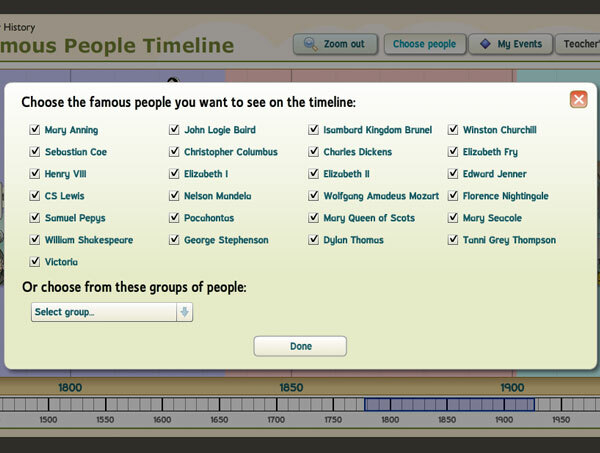 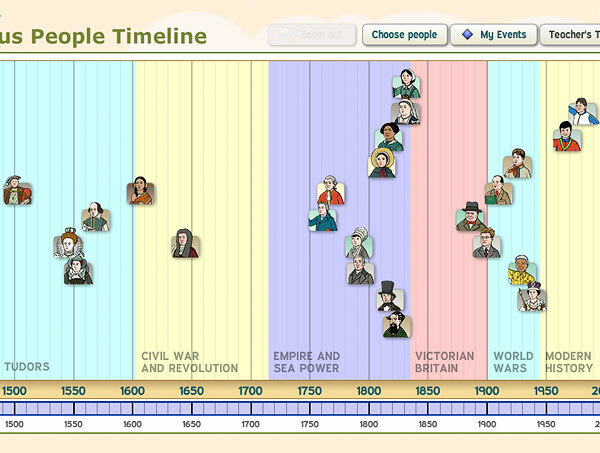 Notable additions (apart from lots of lovely illustrations of 25 famous individuals across the last 500+ years) are a filter feature requested by teachers, improved usability and the facility to compare other people’s events inside one individual’s timeline. 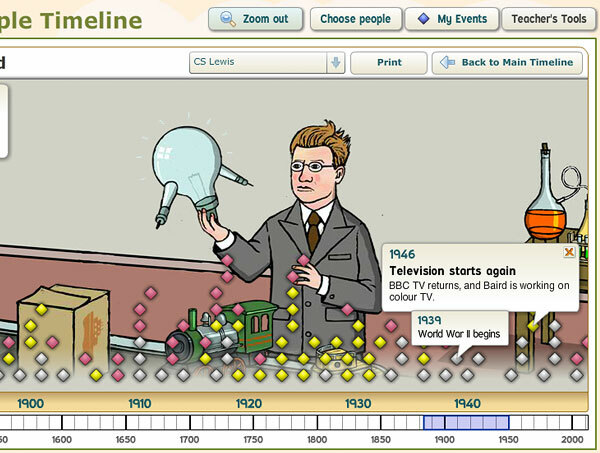 As before, the highly popular ‘My Events’ tool, a high-viz mode for interactive whiteboards and the ability to print out timelines make this a great classroom tool as well as a fun activity for pupils to do by themselves.